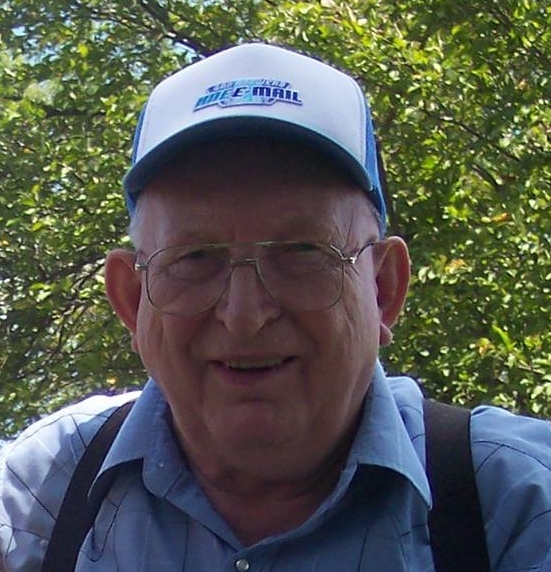 Murel Chesley “Bob” Goodman, age 86 of Warrensburg, formerly of Belle, passed away on Thursday, January 17, 2019 at the Ridge Crest Nursing Center in Warrensburg. Bob was born December 30, 1932, in Osage County, a son to the late Chesley and Tillie (Owens) Goodman. He attended the Buck Elk School through the third grade and the Belle School system through the eighth grade. Bob later received his G.E.D while in the Army. He was a member of the Knob Noster V.F.W. and of Masonic Lodge #245 for over 45 years. Bob enjoyed hunting, playing cards, family get togethers, and gardening. He took pride in caring for the Van Buren Cemetery for over 30 years. As a young man, Bob worked in the clay mines near Owensville and Belle. Then went with a crew out of Arkansas to pick cotton in Louisiana, Texas, and California. He proudly served in the United States Army for eleven years and in the Civil Service for nine years where he was the kitchen supervisor at Whiteman Air Force Base. Bob also worked at the Muehlebach Hotel in Kansas City for a time where he met Harry Truman and the Beatles. In 1975, after leaving his employment with the Civil Service, Bob purchased a tavern in LaMonte, Mo where he also sponsored and coached a men’s baseball team. In 1981 he returned home to Belle and began employment with Kingsford Charcoal and retired in 1995. Bob enjoyed going over the road with his brother, Jerry after he retired. He loved having fish frys for the community and was very involved in the planning and orchestrating of the family reunions. Bob liked to BBQ and enjoyed traveling down south to Alabama to see his brother. He enjoyed going to Branson, Nashville, and Memphis and attended school reunions and helped in preparations for them. Bob is survived by: three daughters, Lisa Goodman of Kansas City, Susan Ribas of Warrensburg, and Linda Foote of Blue Springs; five grandchildren, Zane Goodman of Lancaster, Ca, Nicholas Coker and his wife Elsa of San Diego, Ca, Samantha Vossler and her husband James of Vancleave, Ms, Alyssa Ezzedine of Blue Springs, Mo, and Zachary Foote and his wife Adrianne of Alexandria, Va; two great-grandchildren, Austin Johnson and Kory Lusk of Blue Springs, Mo; and one sister, Dorletha Withouse of Summerfield as well as many nieces, nephews, extended family members and friends. In addition to his parents, Bob is preceded in death by one son, Robert Timothy Goodman, a great grandson, Kristifer Hougardy, two brothers, Jerry Goodman and Ken Goodman, and two sisters, Myrtle Oliver and Fern Cramer. Visitation for Bob will be from 11:00 a.m.until12:00 p.m. on Thursday, January 24, 2019 at Sassmann’s Chapel in Belle. Memorial services will follow at 12:00 p.m. with Randy Carr officiating. Expressions of sympathy may be made to the family of Bob Goodman.